Bonsai, Japanese juniper outdoor specimen bonsai. Stunning nebari and shari. Payment w/ cash-check-PayPal. Plan your year. 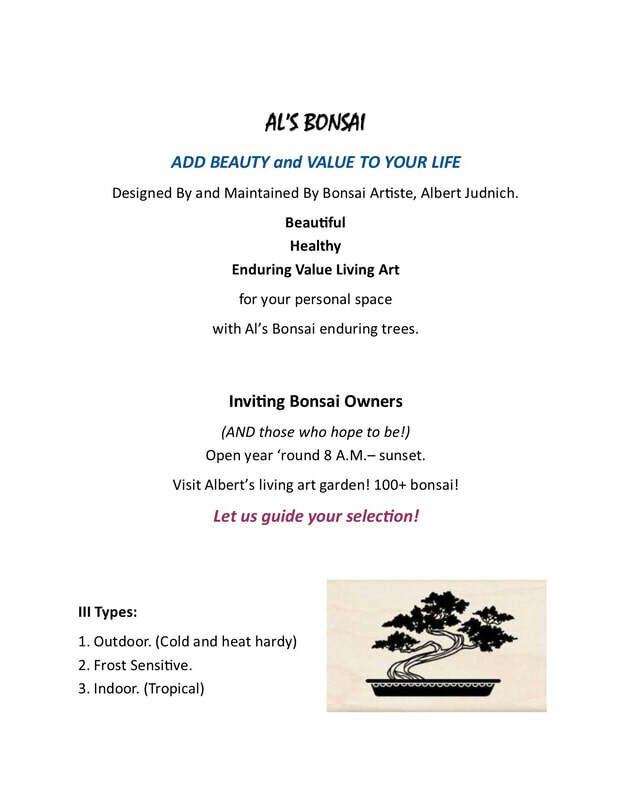 Visit Al's bonsai garden! AL’S BONSAI …and beyond bonsai! 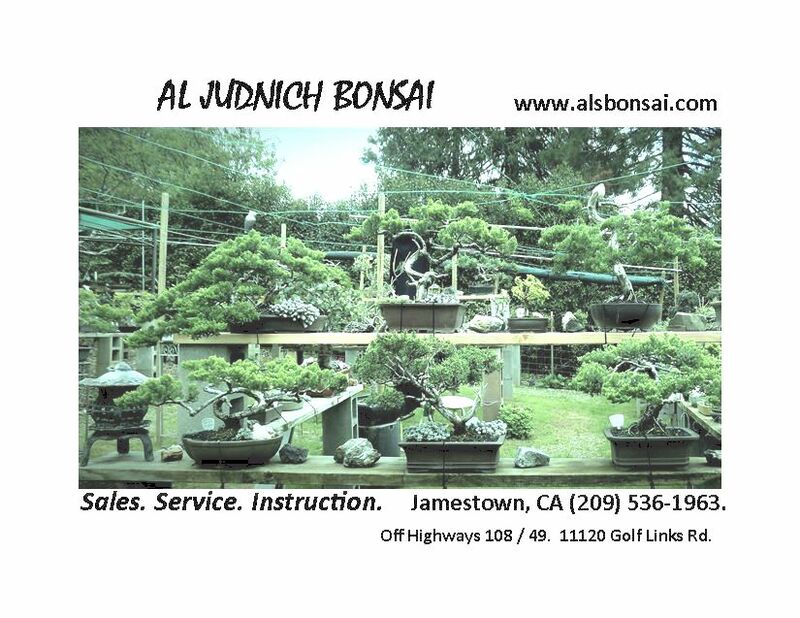 Visit Sierra Nevada Foothills, and Al's Bonsai... 8 AM - sunset. Be inspired! Come visit 8 am- sunset daily.